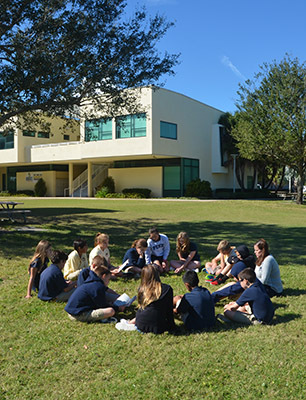 Facilities: All Grades (K-12) are located on 142 acres in Hobe Sound. Transportation: Convenient bus routes are available. Financial Aid: The Pine School’s Flexible Tuition Program allows interested families to apply for a “flexed” tuition based on their financial picture. Advanced Placement Classes: 18 AP courses are available. Eighty percent of AP students earn scores of 3 or higher on national exams. The Pine School is committed to the value of diversity and the principle of equal opportunity in education and employment. TPS admits students and hires employees of any race, color, religion, gender, sexual orientation, and national and ethnic origin. All individuals are accorded equal rights, privileges, and access to programs and activities.